Looking at the actual files we print books from, like the Adobe InDesign files I produce, can be quite revealing. Or an author switches book publishers and manages to get the files that were created by whoever did the book originally. For one reason or another, I get these files. I also hire layout artists on some projects, and they each have their own style, too. Looking at the traces left by another designer can show how they approached the creation of the book. Behind the scenes, where no one knows how the book is laid out, you find out what kind of designer put the book together. Sometimes this is a pleasant surprise, and the files are neat and tidy, well organized, and a pleasure to work on. Then there are the other ones. Instead of ranting about the software abuses in these files, here’s a list of the most common formatting mistakes I’ve come across, and why you should avoid them. Using paragraph returns for vertical spacing—When I see stacked paragraph returns used to space out elements on a book page, I know I have a problem with the files. All layout programs have ways to insert space above and below elements in the book. These controls are extremely precise and can be controlled for all similar elements at once. If your type re-flows because of corrections, and you have paragraph returns as spaces, you can easily end up with one or two at the top of a page, causing a big hole in that page. Not only that, if you want to change the spacing you have to hunt out each of these and adjust it individually. Don’t do it. Using tabs for horizontal spacing—This is exactly the same mistake as number one. Hitting the Tab key to move type to the right, for indenting or any other purpose, is asking for trouble. Layout software allows us to set complex indents and outdents, negative indents and conditional indents. Tab characters used for space are just little tiny bombs waiting to go off. What if you adjust your indents or margins slightly? You can end up with a page full of holes caused by stray tabs that have moved out of place. Don’t do it. Using copy and paste instead of Place—A few months ago a client called up to ask why the layout person she had hired to do her book had spent 20 hours replacing all the italics that had magically disappeared from the book manuscript when it was placed in InDesign. I groaned inside at the unnecessary work this involves, and how it has the potential to introduce more errors into the book. It’s the result of copying and pasting the text instead of using the software’s Place command. This command also allows you full control over the text import process through a screen full of options you’ll never see if you copy and paste. Don’t do it. Using local formatting instead of styles—This error is going to become steadily more important as we adjust our workflows to accommodate eBook conversion from the same files used for print production. In the conversion process (as Joshua Tallent explained in my recent interview) it helps if all elements are styled with Paragraph and Character Styles. This is the only efficient way to format a long document anyway. When you individually style elements by highlighting them and applying spacing, font changes, rules or anything else, you create an anomaly within your book. If you decide to change the formatting of these elements later you may be left with sections of type in the wrong font, with the wrong alignment, or the wrong size. Use Styles. Don’t locally format. Watching out for these four errors will make your book so much easier to create, and much easier to revise if necessary. Learning to use amazing layout tools like InDesign is the best way to avoid these potentially troublesome problems. Don’t put bombs in your book. Learn to format right. OMG you just saved my life on the vertical spacing. I have a wonderful, completed ebook and formatting has been killing me. Thank you!!!!! I am soooooo ready to publish. Uff. The more I explore this site, the more I see things I’m doing wrong in my book. I want to design a preschool book. What is the best format and template to make a book? Word 2010? ruba, you might want to take a look at the children’s book templates here for size and format: Book Design Templates. can InDesign be used for the book covers as well? Hi, I have been publishing my own work for years — okay, primarily one book for many years. In landscape, I can print 4 pages on one leaf in a 1,4,/2,3 (2-column) pattern then fold in half. The problem is that this takes hours formatting everything manually, especially, page numbering when I edit or add more text. My question is: is there a publishing program that will format to my specifications i.e. 1,4,/2,3 pattern. I primarily use Word Perfect 6x, so compatibility with WP would be great if there is such a program. Excellent article. I’m editing my wife’s book mss. and was caught by the ‘tabs’ bomb when the book designer brought the mss. into InDesign. In Word 2010 what is the ‘Place command’ and how do I access it? Perhaps you could add that information to this aricle to help those of us who are stuck with using MS Word. I’m not sure I understand what you mean by a “Place” command in Word. We have a place command in InDesign for placing files, graphics, etc. into a layout. Perhaps you mean the “Insert” commands available from Word’s top-level menu? Thanks for your reply. What I am wondering: is there a command in Word 2010 that is the equivalent of the “Place” command that InDesign provides? None of the commands in the insert menu seem useful for transferring text into Word from other sources. With Word it would be better to type the text directly into a properly formatted paragraph instead of using cut/paste? The only flexibility you have is Word’s various “paste” commands, especially the “paste special” where you choose to strip the formatting from the incoming text, and that’s usually a good idea to get rid of extraneous codes as long as there’s no local formatting you want to retain. Since I’m usually working on text that’s not mine, I wouldn’t ever re-type the manuscript. I’m a little confused about what you mean about using tabs. Are you saying for normal paragraph indenting that we shouldn’t use the tab key? Or are you saying to avoid it for more than that, like trying to center something by hitting the tab key a bunch of times? Yes, I’m saying to not use tabs unless you’re formatting a table (known as “tabular composition,” i.e. uses tabs). Layout programs like InDesign can control this through specifying indents and other spacing within its paragraph styles, and that’s a much better method. Even Word can do that now if you use Word Styles. I use In Design for a small lit journal. I think all of your tips are spot on, but I occasionally run into a problem that I can’t find a way around. I’ll receive a Word Doc that has strange line breaks, indents, etc. that cannot be gotten rid of without using “paste special” which then loses all of my italics, bolds, etc. How do I get rid of these page formatting issues without getting rid of my text formatting? Hi Kirsten. Here’s what you do: place the story into InDesign. Use the Find/Change function to search for any instances of italic and Replace with an italic character style that you’ll have to create. Once you’ve done that, select the entire story and hit the “Remove formatting” button on the bottom of the Paragraph Styles palette. In addition to Joel’s excellent advice, before you place the Word document, see if you can remove the extra “junk” in Word first. You can do a two-stage replace to find strange line breaks that can be hard to spot. Search for ^l (the line break character). Replace it with some odd character that isn’t in your document file like a percent sign %. Now go back through and search for the % sign and replace with a space. If you have formatting issues, you can reset the style to Normal (press Ctrl+N) in a given paragraph. In more severe cases, you can remove all local formatting in a paragraph in Word by pressing Ctrl+spacebar. Thanks so much, Susan. You’ve got so many websites I can’t keep track of them. I don’t think I’ve seen the article site before, great instructional posts there. Wow, Joel, this is an article I could have written! I have fixed so many problematic InDesign and Quark files that it’s sort of mind-bending when I stop and think about it. Most of the problems come down to not understanding how the software is *supposed* to work. Just because you CAN copy and paste stuff does not mean you should. And you should not treat InDesign like a typewriter! And yes, I’ve been doing the two ^p for one and removing double spaces for about a million years too. Clients rarely realize the amount of clean-up that has to happen before the file can even go into InDesign. Hi Susan, I think there’s a whole hidden community of people out there who have been battling the double spaces, the stray codes and the unnecessary paragraph returns, tab characters and assorted other debris that litters our files. Because they usually don’t show up on screen, clients often have no idea why their files need “cleaning.” Thanks for your comment. These are great! Would you recommend InDesign over any other publisher program? I’ve been recommended Microsoft Publisher recently and am curious. Elisa, I would recommend InDesign, especially over Microsoft Publisher. But I’ve never had good experiences with Publisher. My typical workflow is to receive and edit a manuscript in Word. Once that file is proofed and ready, I import it into InDesign along with the styles I used and then tweak it to make it look as pretty as possible. After the client approves the general layout and look, the last thing I do is go through page by page and remove all widows and orphans and do a final edit. The Word file that I imported into InDesign I also use for my e-book formatting. I style it according to Smashwords and Joshua Tallent’s suggestions and turn the table of contents into hyperlinks, along with any endnotes and website references. Next comes two separate steps for two different end results. One step is to open the Word file in Pages, double-check the hyperlinks, and then export the file as a Word file again. This ensures that the hyperlinked table of contents stays as such when uploaded to Smashwords. The other step is to save the Word file as HTML and then do more manual formatting to prepare for the Kindle version. Once the HTML file is ready, I open Parallels (I use a MacBook Pro) and run MobiPocket Creator to make the Kindle version. It took me a couple weeks of experimenting to finally figure out MobiPocket Creator’s idiosyncrasies, but now that I have it figured out I get a working Kindle book every time. Whew. How’s that for a short answer! Elisa, Adobe InDesign is a terrific tool for book interior and cover layout and production. It is fully integrated with Photoshop and Illustrator in the Creative Suite. It’s also very expensive, because it’s not a consumer-level tool like MS Publisher. Publisher is a handy and competent layout program for business communications and short documents, but if you have InDesign you won’t use anything else. Although the learning curve is real, it’s incredibly powerful and mostly a joy to use. I have Photoshop CS5, but I don’t have the Creative Suite. That was way, way more than I could afford (I got CS5 as an update from CS3, which was given to me as a birthday present so I got lucky there). How much is InDesign on its own? Chris, thanks for this. Honestly, I’ve been looking into doing the formatting for ebooks myself (as I’m planning on self publishing a story within the year). I’m a little lost in your explanation about the ebook formatting side of things, which means I still have a lot to learn. 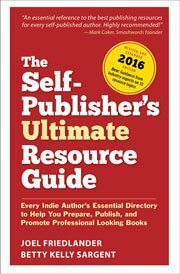 Is it worth it to do ebook formatting yourself or just hire someone to do it for you? Elise, I’m working on a longer and better-written explanation of my work flow for a potential guest post here. My goal is to focus on my own process and explain it as simply as possible. For the Kindle version, I have yet to find as satisfactory a process as working directly in the HTML code that Kindle books are based on. There are options like exporting from InDesign, Scrivener, and using the Smashwords Meat Grinder, but not once have I had one of those not need additional work. Pages ePub export does seem to work quite well and produces a file that passes the epubcheck validation process. Elisa, you can do books with Microsoft Publisher but it’s not the same kind of tool that InDesign is. If you are only planning to do a book once in a while, you might look at Apple’s Pages (if you have a Mac). It’s reasonably priced and it can export ePub files directly from the program. I’m glad to say I’ve mastered most of these. I was curious about the copy & paste vs place feature. I recently purchased IDCS4 and wanted to place text from a Word doc into an ID file, but discovered I couldn’t. Is there a way to do this? Hi Virginia, not sure why you’re having a problem. In InDesign, select an empty text box and click on File/Place (or use the keyboard shortcut Command-D on the Mac) and you’ll be given a file list to choose from. Pick the Word file you want and it will fill the text box. You can them move, resize, format etc. Hey Molly_b, that’s pretty funny. I can’t even remember how long I’ve been doing the “Find: ^p ^p Replace: ^p” operation, but it seems like decades. How right you are. Molly, I just use the Find and Replace function to get rid of double spaces. Why do you use a macro? Can you share the macro? Presumably your macro converts two spaces after a full stop into a single space; if there’s three spaces, then your first two spaces are converted to one space. This leaves you with full stop followed by two spaces. Just re-run the macro and that’ll get rid of the extra space(s). I have to admit I used to be lazy about using character styles for italics and bold. But that changed when I figured out how to do a search and replace that included styles. And InDesign’s ability to import styles made it that much easier. Same here, Chris. I used to have that problem of losing italics and it was maddening until I found the format Find/Change in Indesign. Together with the “clear all formatting” button, it’s made book layout faster, easier, more accurate and a lot more fun. I am a student which has participated in a challenge of an extended project for additional qualifications. My leading theme is book publishing. It is going to be a simple book for children full of drawings and a bit of text. Reading your article I was thinking of you could spare some time to have a look at my final product and hopefully give me tips on how to improve it visually. If you woud be willing to help could you please reply on my eamil adress. best wishes, magda.